Ok I have to admit I love luxury travel. It is how I want to see the world. Not everybody may agree with my sentiment. We all have different travel ambitions and mine is to travel in style. Sani Dunes puts an awful lot of effort into supporting the local community. Including planing whole forests to keep the natural balance of the region and encouraging visitors to visit and dine in local villages to put a little revenue back into the local area. Yet they do this in a sympathetic way that makes the tours exclusive and does not flood the villages with tourism. I imagine getting that balance just right is tricky, but they seem to be managing this effectively. We took the private Volvo Experience tour which is free of charge to Sani Dunes guests. 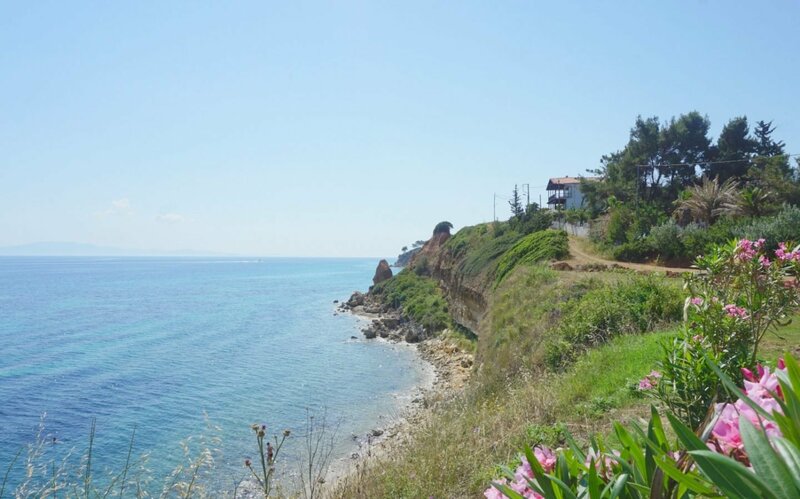 It took us out through the breathtaking countryside of Halkidiki and eventually to the town of Afitos, where we were able to enjoy the breathtaking views from Cape Posidi. 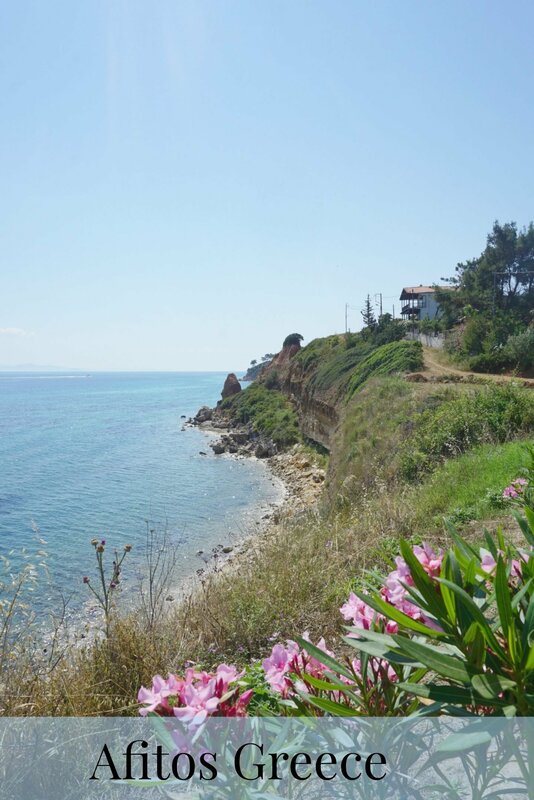 These are my favourite pictures of our stop off in Afitos, don’t you just love the colours of Greece. 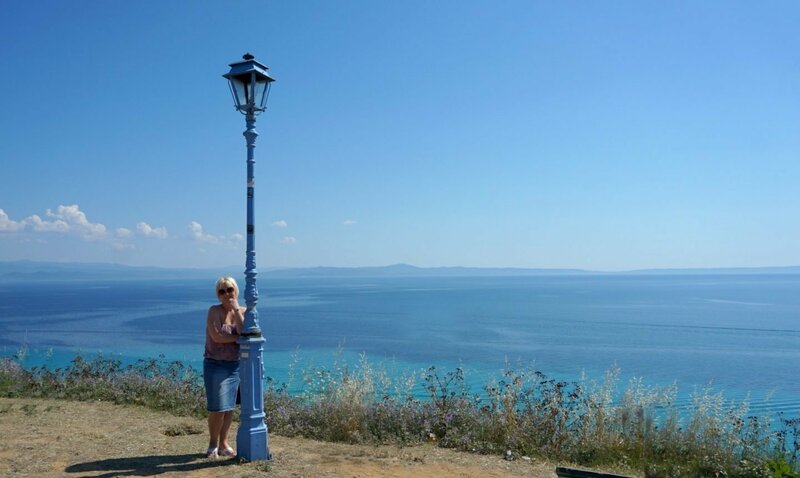 The blue always seems so much bluer in Greece, or it that just me? All wonderful shots but the first is my favorite. 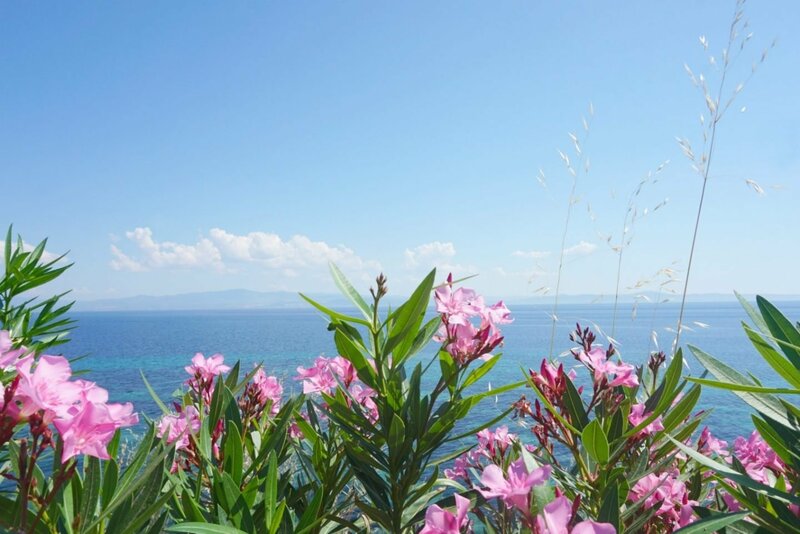 Flowers, sea, and sky are a fabulous combination. Picture perfect! Greece always looks beautiful, I particularly love the first shot with the flowers in it, gorgeous!